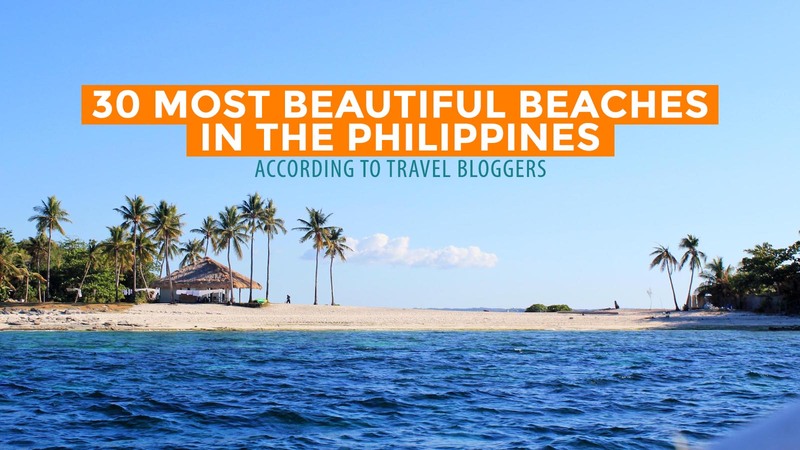 We asked some of your favorite travel bloggers: What is the best beach in the Philippines? It’s a difficult question, to say the least. 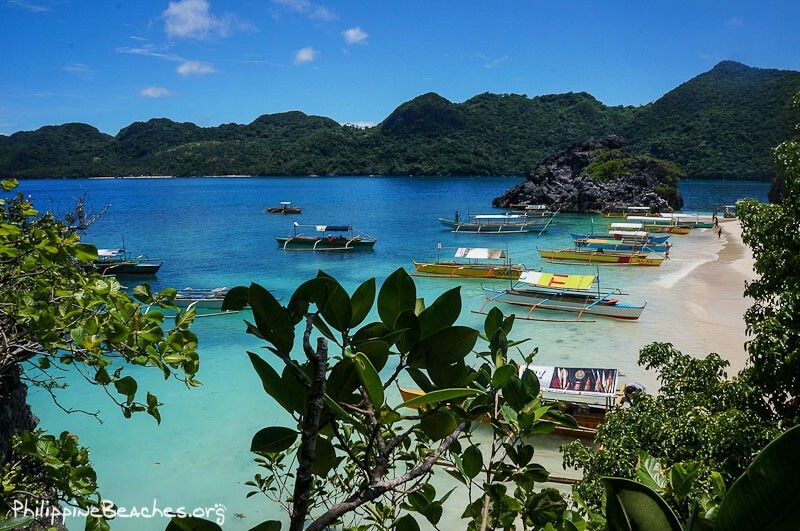 After all, the Philippines is made up of over 7000 islands, fringed by miles of shoreline. Picking just one out of countless coves and beaches is no easy business. Besides, how do you judge a beach? The fineness of the sand? The clarity of the water? The richness of its wildlife? The grandeur of the landscape? In the end, we told them: pick the one that allowed the best, most unforgettable experience. And here are their answers. Note: This is Part 2 of 3. If you missed the first batch, you will find it here. Also, this is in no particular order. We all have a picture of the perfect beach paradise — azure water, gentle waves, white sand. Most of the country’s most popular beaches have all three. 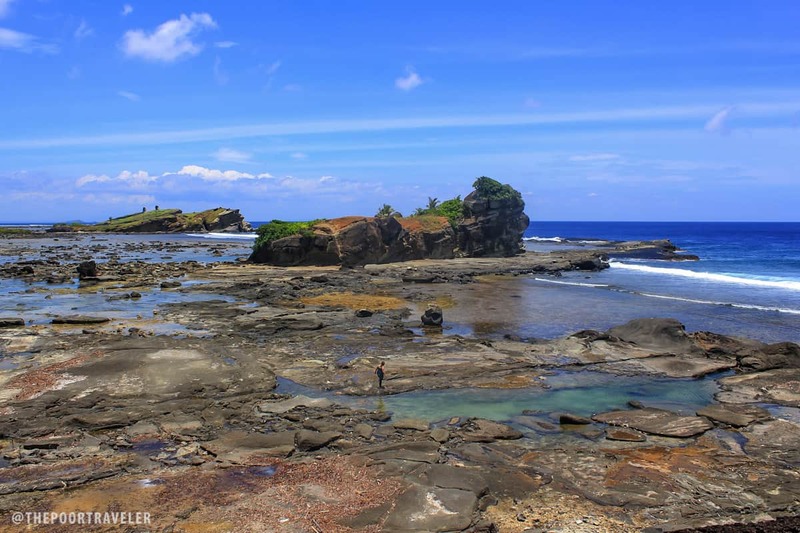 The northern coast of Biri Island is not one of them. The waves here don’t roll; they ravage. “Every punching wave is a stroke of art and every gusty storm is a painful dash of necessary sacrifice — the torture in art, the beauty in chaos,” I described it on The Poor Traveler blog. The result: six staggering rock formations, masterfully sculpted by nature, that intimidate not just with their immensity but, more importantly, their splendor. 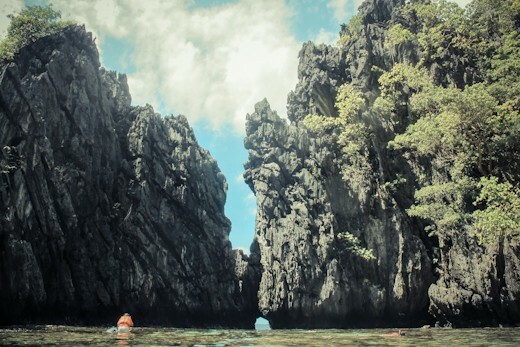 El Nido has many secrets. 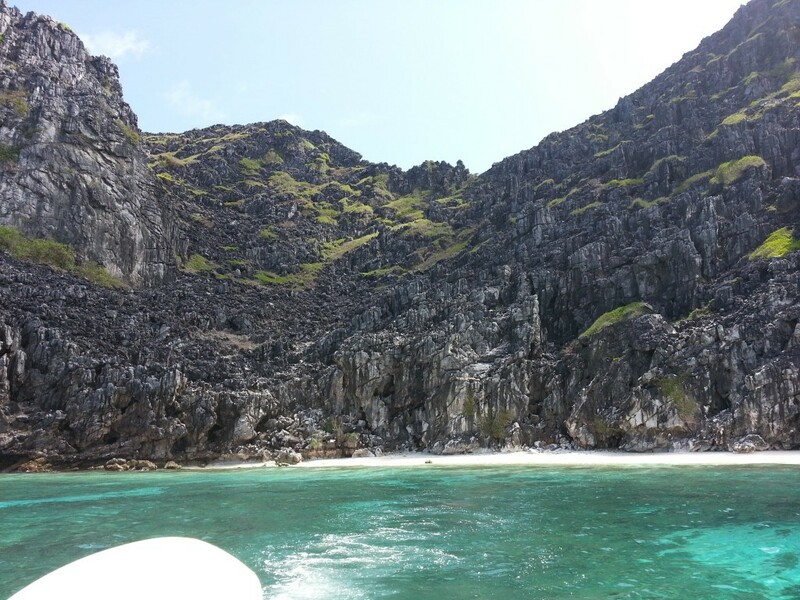 One of them — the Secret Beach, a small half-dipped pocket of white sand that is enveloped by the giant karst cliffs of Matinloc Island. Accessible only through a narrow crevice, it requires visitors to swim one at a time. Challenge, huh? But that’s part of its charm if you ask Enrico Dee of Byahilo. Rumor has it that this is the actual place that inspired author Alex Garland to write his novel The Beach when he stayed in El Nido. 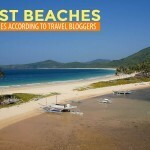 “For me, this is the best beach in the Philippines,” Benj Espina makes it clear in his post about this almost unheard of paradise tucked in the middle of the Cuyo Islands. Its remoteness has kept the island’s low profile, but divers en route to Tubbataha Reef who make a stopover here are treated to a rare opportunity to get to know this exquisite beauty. “It was strikingly beautiful,” Benj adds. 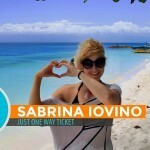 “It was great to find a seemingly untouched island out in the Sulu Sea free from human settlements and the development. 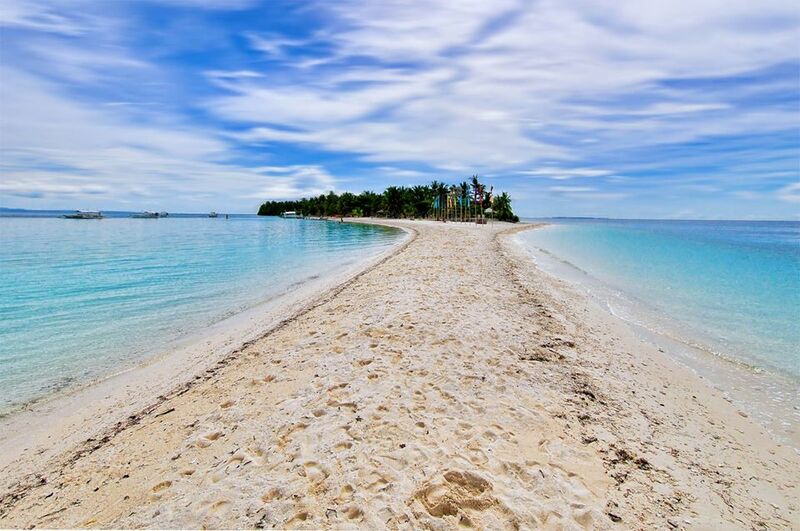 If you love sandbars, you will fall head over heels for Kalanggaman Island. This barely touched paradise has enjoyed a lot of attention in recent years as more and more beach-chasers discover its postcard-perfect allure. Sinjin Pineda can’t help but agree. 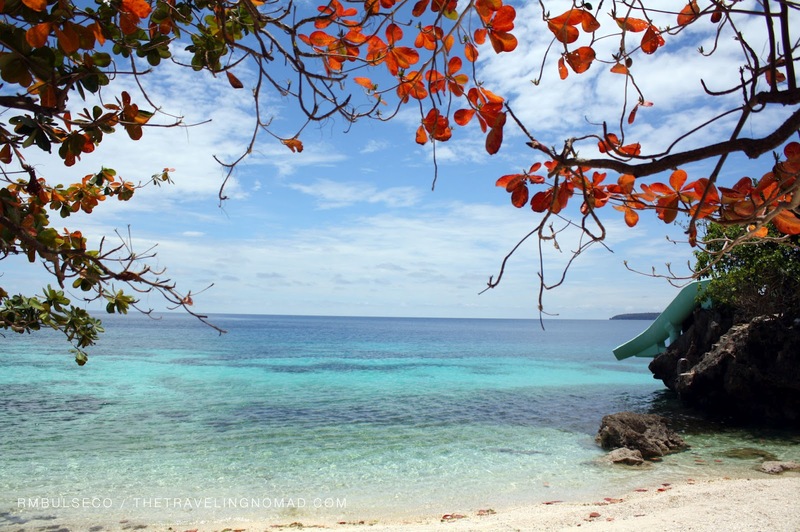 “With talcum white sand bars extending to both sides, Kalanggaman Island is a paradise. 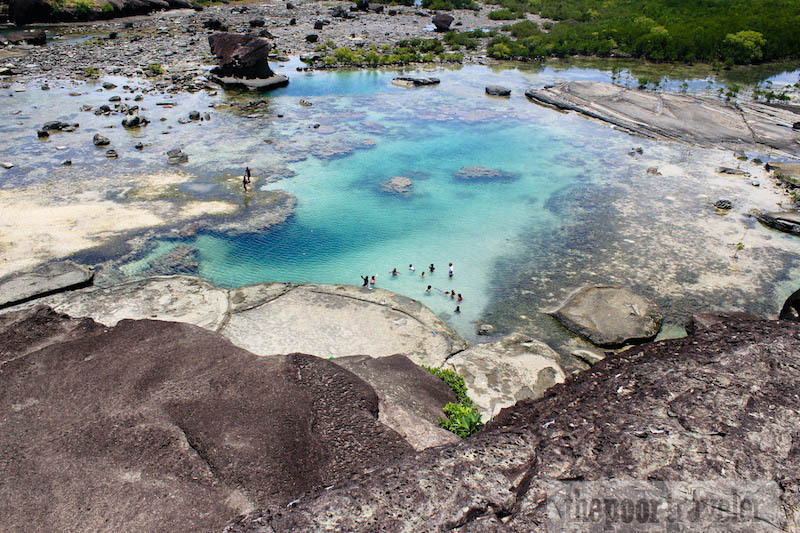 Its pristine waters and almost lake-like placidness make it perfect for swimming, kayaking and snorkeling.” The other side of the island has stronger waves and more sea-like attitude. And the sandbars! Both ends of this long island are fringed with a sandbar reaching out to the blues. Warning, though: some parts slope so steeply. 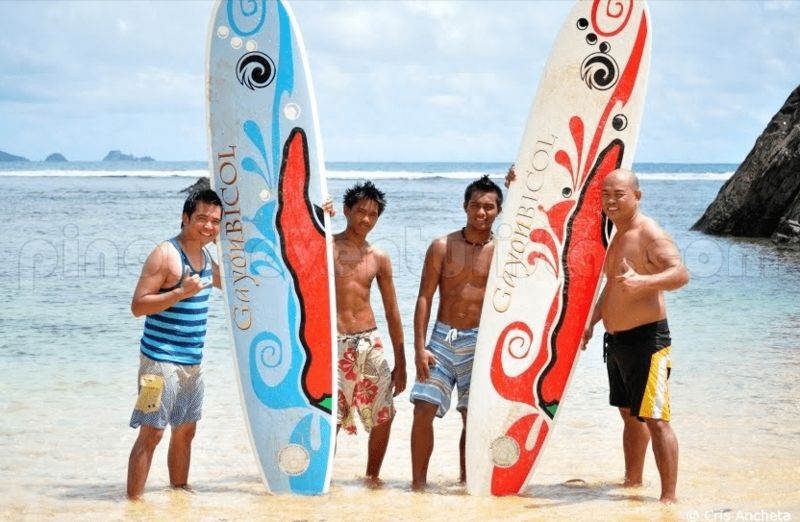 Facing the mighty and unforgiving Pacific, Puraran Beach is a topnotch surfing site. 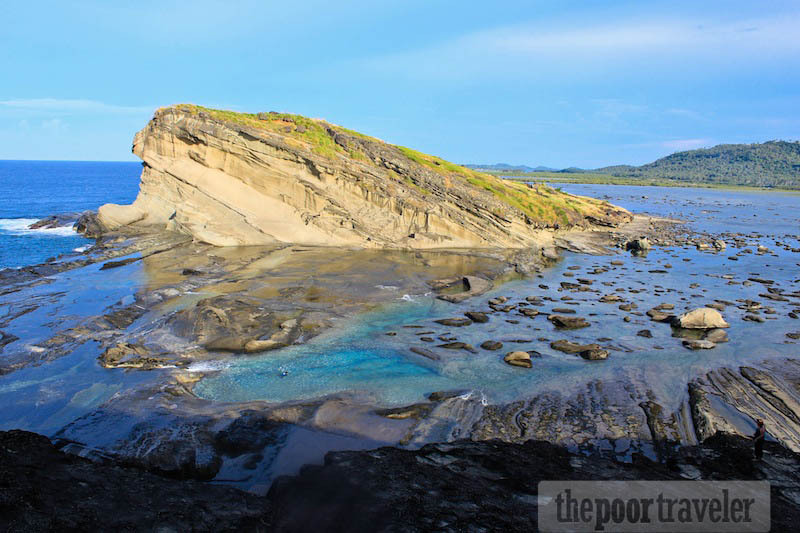 Located in the town of Baras, Catanduanes, the options to get here by air is quite limited. But those who go out of their mainstream way to get here are greeted with a delightful and highly exhilarating mini-slaps from the ocean. Dahican means “to come in from the sea.” The name was given to this beach for the pawikan, Hawksbills and Olive Ridleys, that emerge from the sea and climb up to the shore to lay eggs. If you’re Dahican-bound, make sure to not disturb these gentle creatures when you’re there. Malapascua Island is most famous for the thresher sharks that roam its waters. Divers from around the world are drawn to these sharks and other marine creatures that make up the rich biodiversity of the island. But Malapascua has something for beach bums, too! 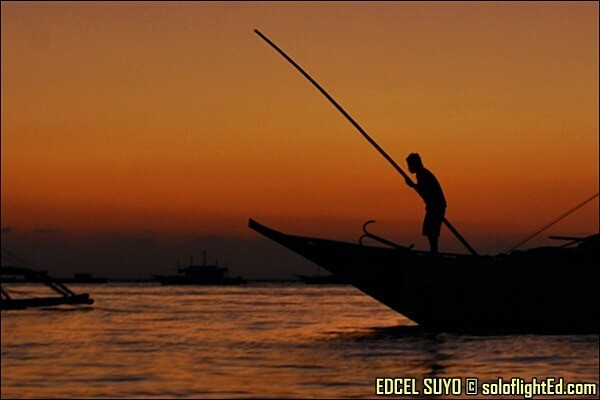 As Edcel witnessed it firsthand, this small piece of heaven north of Cebu stuns visitors with pearly grains and multi-colored sunsets. Edcel was so mesmerized, he wrote the island a letter. “I swam in your waters and jumped from your cliff. I dove into the deep and cruised along your shores. You shared so many faces in different times of the day. However, only during the later part did you show your real colors. For some people, Siquijor is almost synonymous to witchcraft and mysticism. But anyone who has been to the Island of Fire will tell you, if there’s something this place should be known for — its sheer, natural beauty. 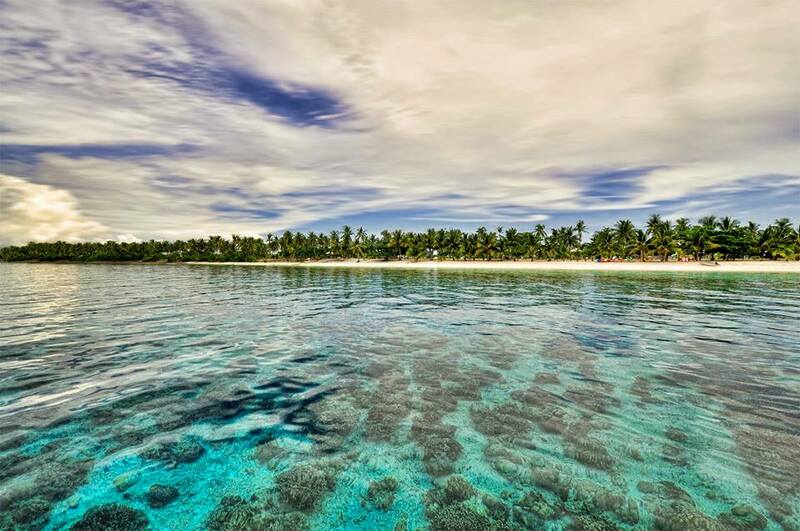 Beaches, for example, are spectacular in Siquijor. Just ask Renz. His favorite: Salagdoong Beach. Cradled in the town of Maria, it is managed by the Provincial Tourism Office. “Despite being a public beach,” Renz shares, “it is still clean and well-maintained. Kudos to the local government of Siquijor! I’ve been to numbers 2, 4, 9, 11, 12 and 13. Whew! Ang dami pang dapat puntahan!!! 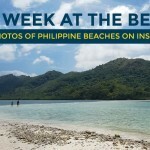 the virgin beach – Panampangan Island, Tawi-tawi! 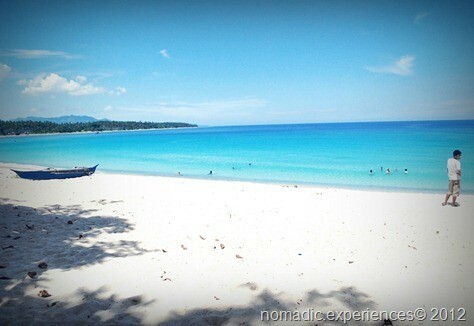 Check out Haligi Beach in Puerto Galera, Mindoro….my personal favorite! Dahican and Malapascua deserve to be in this list. I haven’t been to the other beaches mentioned in this installment. Marcos island in Hundred Island. The sand is the best I have seen so far. It is grainy light orange. Because it is not powdery the water is crystal clear. I agree with this. 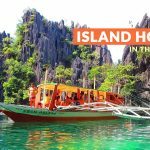 The Hundred Islands have two really good islands – Marcos and Romulo. 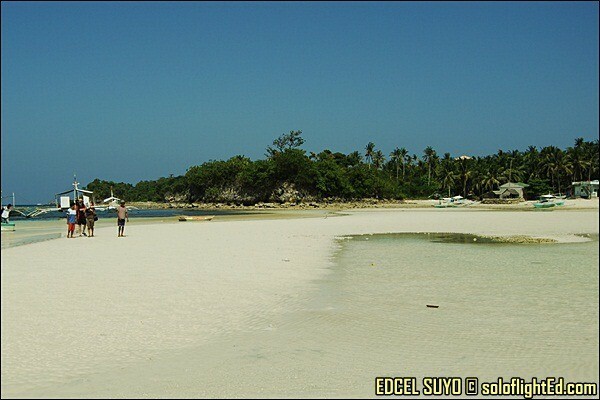 we also have beautiful and very clean beaches in Surigao Del Sur. This is one of them. Guyam Beach. the most beautiful beaches is where humans hardly go because it’s difficult to reach. Not that there are complete anemeties of comfort. 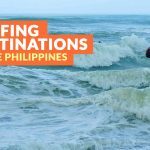 Philippines is home to the very best beaches in the world. It’s not even open for debate anymore if u would try to compare them to what the other countries have, because the Philippines have so many of them. Count to hundreds, if not thousands…I mean, who else can say that! NOBODY! Taga Cuyo, Palawan po ako… Am so proud!! Maganda talaga lugar namin… Not that acessible nga lng..
Great articles. Can’t wait to get back and experience these beaches. Where’s the last 10?? Visit and Discover Sta. Cruz Island in Zamboanga City unique because of its PINK sand. Your description regarding BIRI ROCK FORMATION is so eloquent. I have been there and the place is just so amazing. It is not your typical white sand beach. I wil go back there with my friends in summer to hike, dive, camp, swim, wade in its natural pools, and party under the moonlight and beside a burning bonfire. Hi yoshke. Where can I find white beach resort starting point in alabang, muntinlupa? 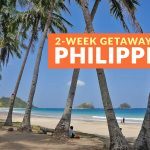 Maximum hours of travel siguro around 5-6hours basta white sand secluded beach. Budget is around 3k (roundtrip transpo plus 3D/2N stay). 3 persons including 1 child. Anywhere in South and North Luzon basta white sand beach.